Colorado State University is a public institution that was founded in 1870. It has a total undergraduate enrollment of 23,858, its setting is urban, and the campus size is 586 acres. It utilizes a semester-based academic calendar. Colorado State University's ranking in the 2016 edition of Best Colleges is National Universities, 127. Its in-state tuition and fees are $10,590 (2015-16); out-of-state tuition and fees are $27,258 (2015-16). Colorado State University is located in Fort Collins, a midsize city at the base of the Rocky Mountains, less than an hour north of Denver. Colorado State, also known as CSU, offers more than 150 degrees in eight colleges, with graduate programs in the schools of business, engineering and education and the renowned College of Veterinary Medicine and Biomedical Sciences. CSU is considered one of the leading research universities, and faculty and students work together to explore fields such as atmospheric science, infectious diseases, clean energy technologies and environmental science. Outside the classroom and research lab, students can get involved with the more than 350 campus organizations, including about 35 fraternities and sororities. Student athletes can find sports at the recreational, club and varsity level, with the CSU mascot and colors reflecting the school's past. CSU began as an agricultural school, so the sports teams were called the Aggies and their colors were green and gold to represent farming. The school held onto the colors, but the more than 15 varsity sports teams are now called the Rams. They compete in the NCAA Division I Mountain West Conference. "Inspired by its land-grant heritage, CSU is committed to excellence, setting the standard for public research universities in teaching, research, service and extension for the benefit of the citizens of Colorado, the United States and the world." 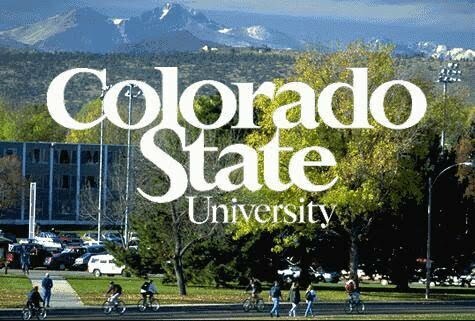 -CSU Mission Founded in 1870 and established as a land grant university, Colorado State is one of the premier institutions of higher learning in the United States, rooted in the three pillars of our mission: teaching, research and public service. CSU is a fully accredited public university recognized for its excellence in academic programs from the baccalaureate to the postgraduate level. In 2015 Colorado State became the first and only campus to earn the STARS Platinum rating for sustainability, providing a vivid example of commitment to our mission. Colorado State offers more than 190 programs of study within eight colleges allowing you to shape a course of study that best meets your personal and professional goals. As a student at Colorado State, you will learn side-by-side with faculty mentors who are recognized internationally as leaders in their fields. The University emphasizes the importance of active learning providing opportunities for field experience, laboratory research, internships, and study abroad. The INTO CSU programs enhance opportunities for international students, bolstering Colorado States global presence. Our campus is located in the center of Fort Collins, a city of about 150,000 people. Fort Collins, among Outside Magazine's 2013 Best Towns in America and ranked 3rd in College Ranker's "50 Best College Towns to Live in Forever", provides a unique blend of big city advantages and small town friendliness. You'll find everything you want - several shopping centers, hundreds of restaurants, movie complexes, a regional cultural center, natural areas, and miles of biking and hiking trails. Within minutes you can visit the world-famous Rocky Mountain National Park, the Poudre River, and Horsetooth Reservoir. These recreation areas, as well as many others close by, offer endless opportunities for outdoor activities such as skiing, snowboarding, hiking, camping, white-water rafting, and boating. And the region's 300 days of sunshine a year enables you to take full advantage of our spectacular surroundings.